A review of Speed Energy Drink which is found in superstores across the USA. Does this drink speed up your life and mundane existence? A review of Monster M3 Energy Drink which is a concentrated energy drink with nitrous technology. Is this concentrated Monster safe? A review of XAPP Protein Energy and Recovery Drinks. They are the first carbonated protein drinks. 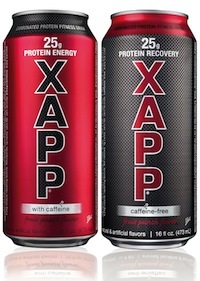 XAPP Energy is supposed to be consumed before activity and XAPP Recovery after. A review of ZUN Lite Energy Drink which is a Blue Agave flavored low calories beverage formulated to "rid your brain of cloud". Does it deliver clear skies? Monster Rehab Energy Drink marketed as a sports recovery and/or hangover aid. Including Lemonade, Green Tea, Orangeade, Pink Lemonade, and Rojo Tea. 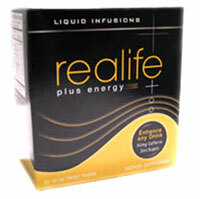 A review of Realife Plus Energy which is liquid caffeine that can be added to the beverage of your choice, providing an extra boost of caffeine. A review of Century Energy Drink, a pineapple flavored drink available in Canada. Century donates part of the sale of each drink to charitable organizations. A review of Xingtea Green Tea Energy an all natural sweetened tea energy drink. What else is in Xingtea Energy besides tea? Review of Rockstar Pink Energy Drink. Now rebranded as Rockstar Perfect Berry. What has changed and what is still the same. A review of Rockstar 2x Energy Drink, the latest from Rockstar with double the energy. Is the hype for real? Caffeine content and review of Endorush Xtreme Strength from BSN. Does this energy drink really rush endorphins to your brain? A review of Function Alternative Energy Drink an all natural non-carbonated beverage that provides alertness without the jitters. A review of Spartan Energy Drink an energy drink that is marketed as fuel for warriors. Does Spartan meet the challenge? Celsius: Calorie Burning Energy Drink? A review of Celsius energy drink Strawberry Kiwi and Iced Tea Lemon. 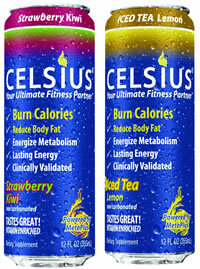 Celsius claims their energy drinks will help you burn 100 calories more during your workout.